Listing courtesy of Coldwell Banker Property Shoppe. Take the Bear-Creek-Ranch Virtual Tour and soar above an amazing property (3 videos attached). Over 39 acres in the Upper Ojai Valley with Topatopa as a backdrop and Bear Creek running through it. Behind gated entry and down the private drive, a handcrafted cabin is the Main Residence and offers two-story sunset views across the upper Ojai. Beautiful rock retaining walls and purposeful channels wend their way along orchard lanes and sparkling meadows shaded by native oaks & sycamores. The primary Ranch road heads northward past… the Guest House, next… the versatile 3000-square foot Industrial-Ag building, and eventually… loops around 20 acres of avocado & citrus perched on the parcel’s northwest corner… across Bear Creek. Processing/greenhouse structures are adjacent to the groves. Multiple wells and a spring offer permaculture possibilities. Surround yourself with nature’s breathtaking views. Experience the quiet. Retreat in conscious community. Restore this gem and make it your own… inspiring. The Sespe Wilderness is near. 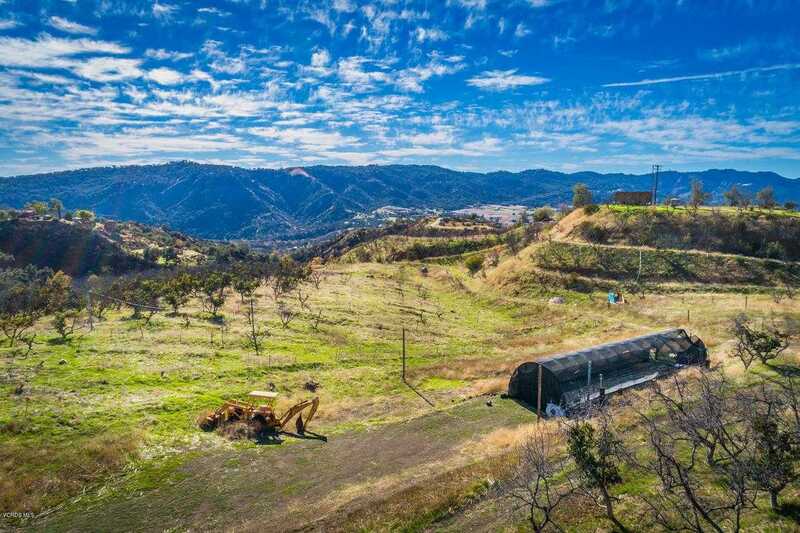 Please, send me more information on this property: MLS# 219000895 – $1,499,000 – 13001 Koenigstein Road, Santa Paula, CA 93060. I would like to schedule a showing appointment for this property: MLS# 219000895 – $1,499,000 – 13001 Koenigstein Road, Santa Paula, CA 93060.